Certify is acquiring a online corporate travel booking tool from nuTravel. 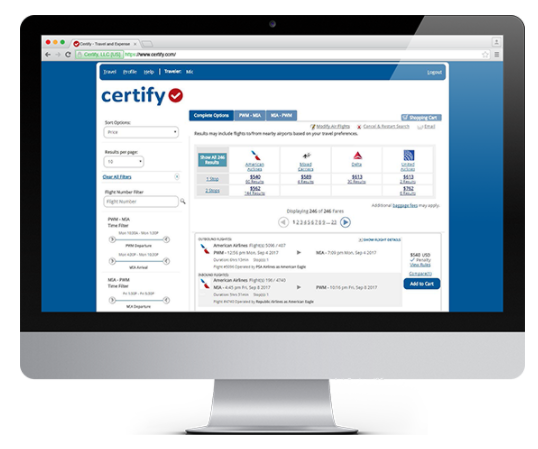 Certify standard travel application is focused on small business travel needs. The new Certify Enterprise Travel service will have features for midsize and large enterprise clients. Central to Certify Enterprise Travel is the ability to work with any corporate travel agency for ticket processing. This positions Certify for a complete single platform solution for travel and expense of larger enterprise clients. Certify is partnering with travel management companies (TMC) to allow them to offer the new Certify Enterprise Travel solution to their own clients. This might especially appeal to travel agencies looking to stand out from other TMCs in the market.